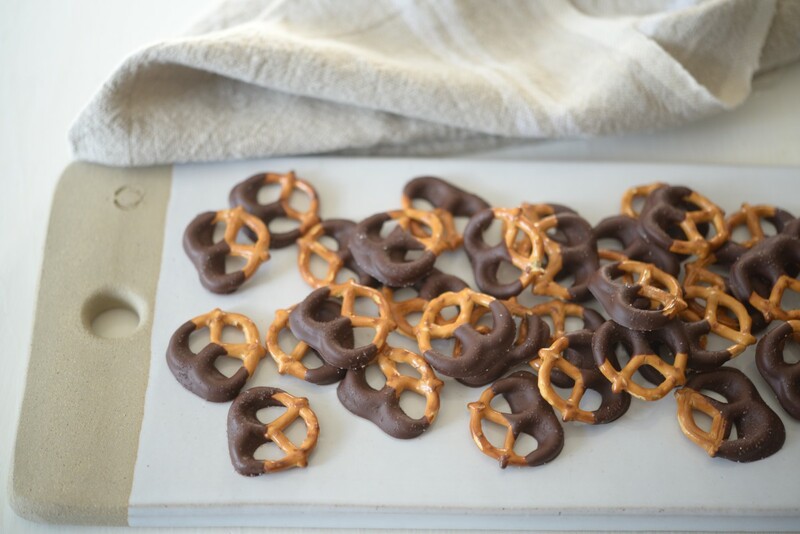 Why chocolate-dipped pretzels are actually a secret weapon for hosts. 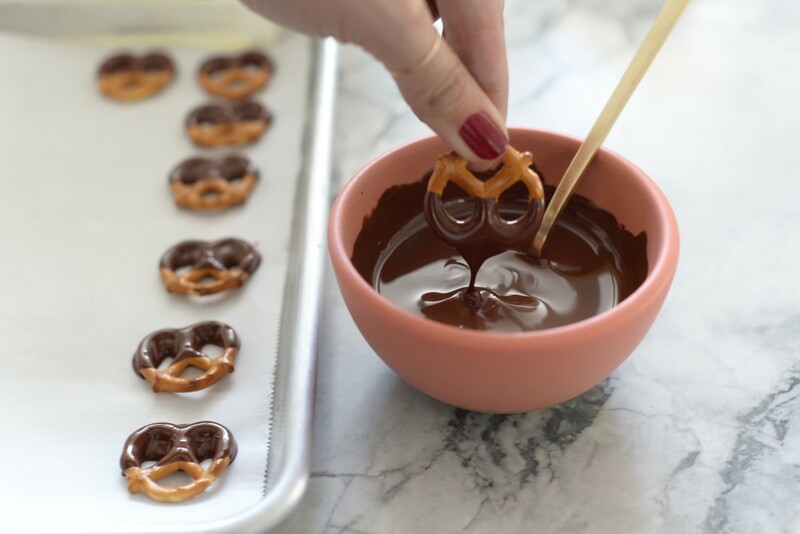 I&apos;m an enormous fan of chocolate-covered pretzels, but have always been a little disappointed in store-bought versions—the chocolate is usually mediocre and the ratio of chocolate-to-pretzel is often off. 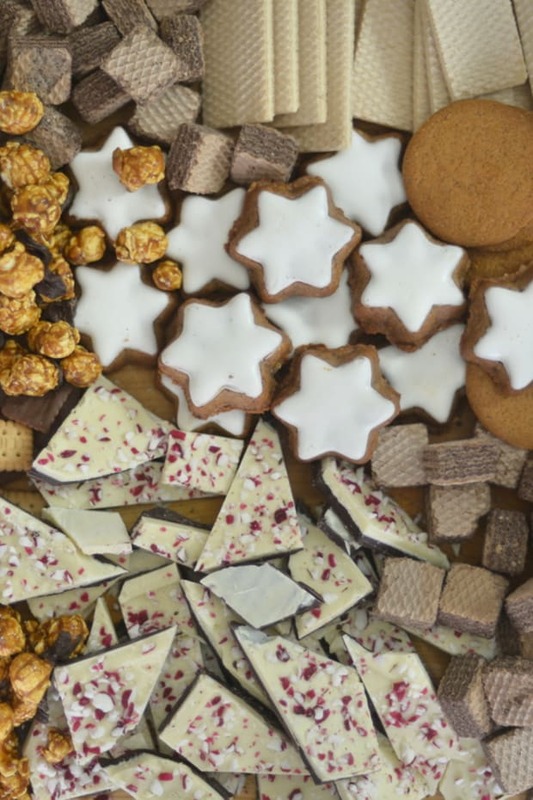 When we hit the bottom of our bag recently, I set out to make my own using high-quality chocolate and only dunking each one halfway to get the right ratio. 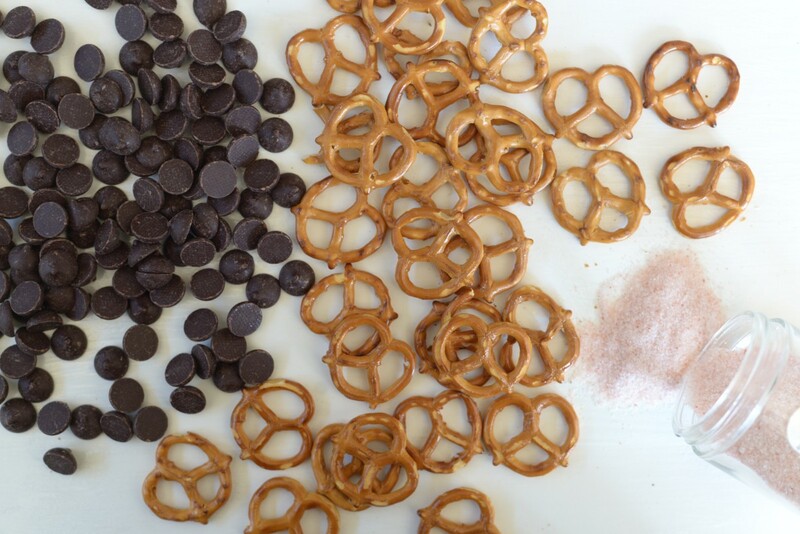 A happy accident came from using Sloan&apos;s unsalted snack pretzels, which inspired me to add Himalyan pink salt on top of the chocolate. 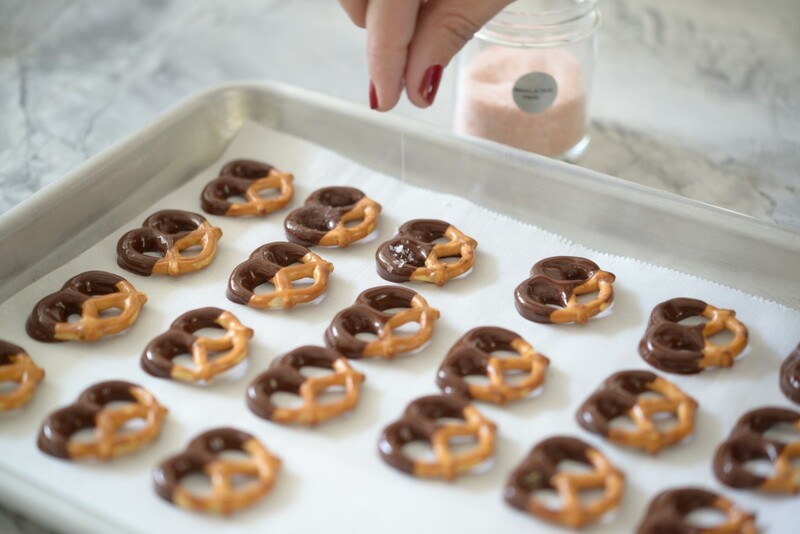 Since the salt hits your tongue before the sweet, they aren&apos;t quite as cloying. 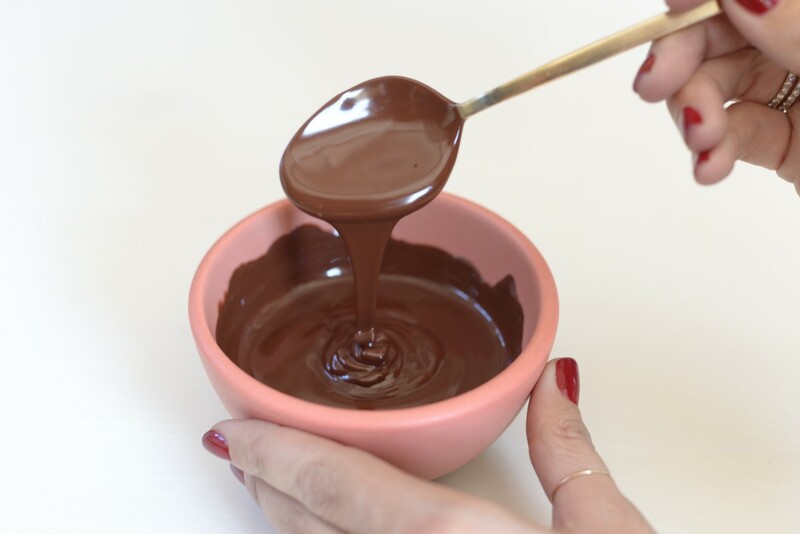 The "recipe" is so simple—they take about 15 minutes to make, including time to cool—but I was amazed at what a difference the homemade touch made. This realization returned to me the other night when I was hosting a dinner where the meal was elaborate enough that it felt like baking a pie or cake for dessert would be overkill (plus I was short on time). 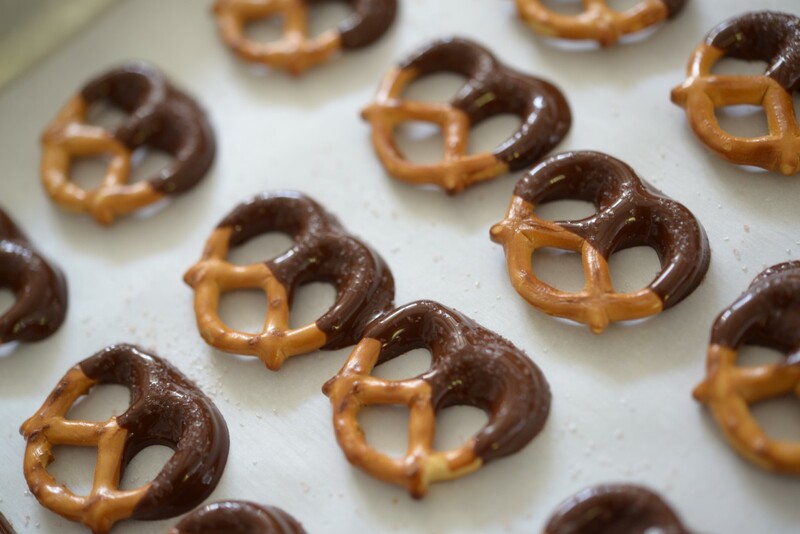 A few minutes before guests arrived, I prepared the pretzels, dunking them into chocolate melted in the microwave, then placed them on parchment-lined trays and sprinkled salt over-top before setting them into the refrigerator to chill during dinner. 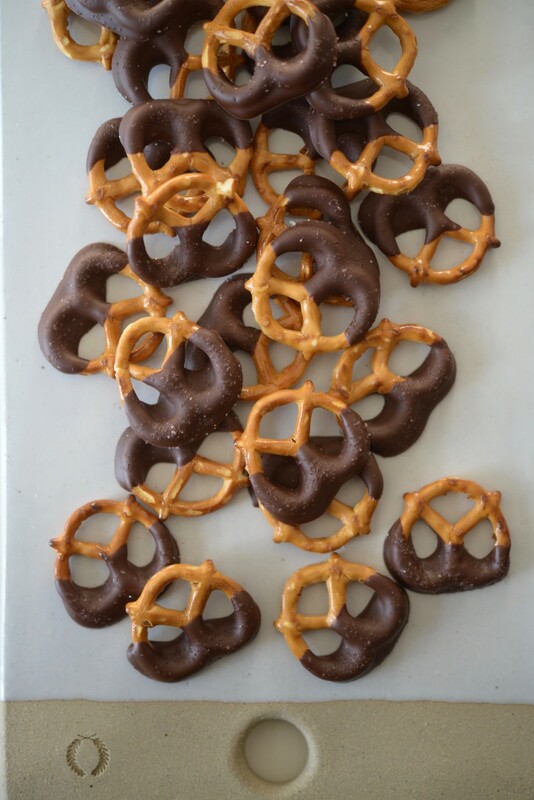 After we ate, I set a platter of the pretzels in the center of the dinner table for dessert. 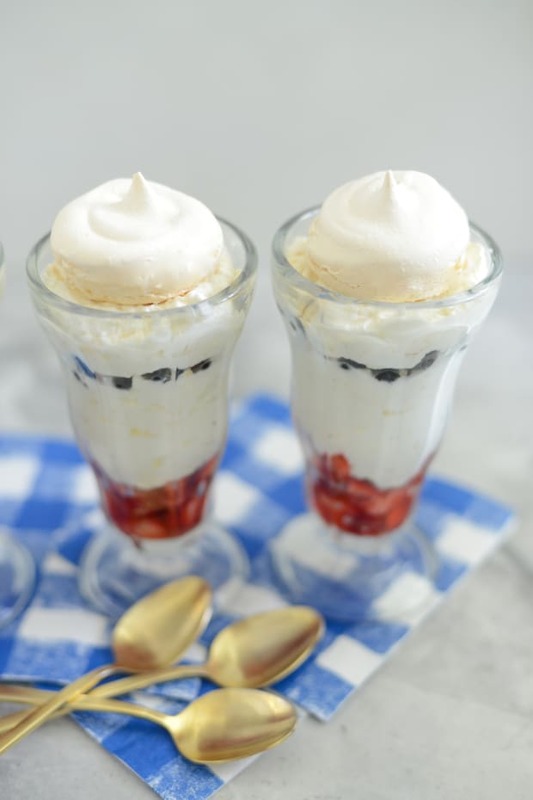 What I loved most was the communal feel—rather than individual dessert plates, this created a casual vibe where everyone reached into the center of the table to share. 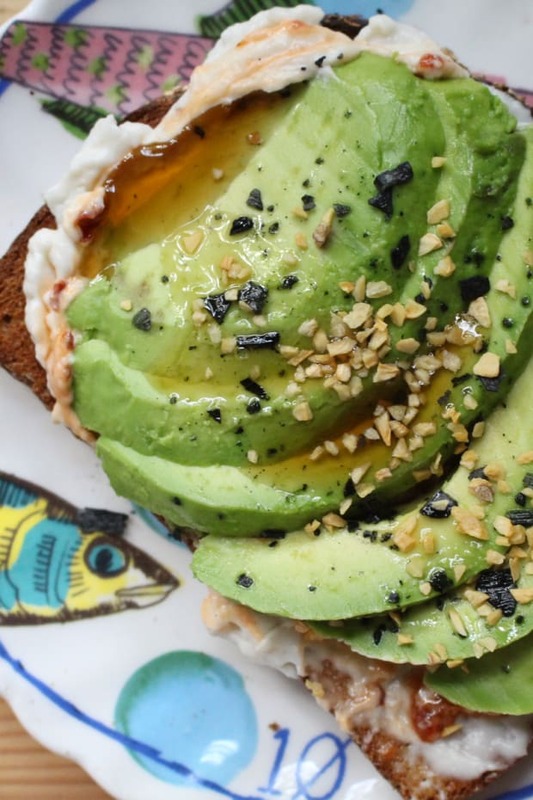 It was the perfect sweet touch, and one that didn&apos;t require an entire day to prepare (or even an entire half-hour). 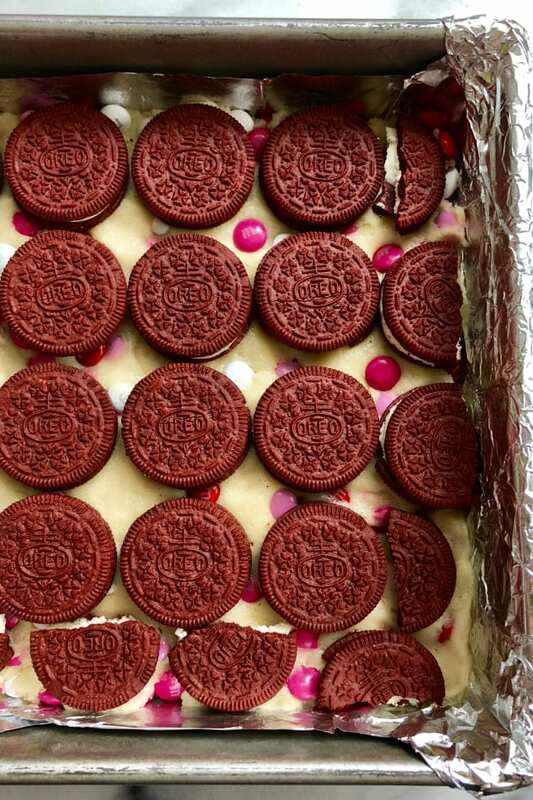 Valentine’s Day Red, White, and Pink "Slutty Brownies"